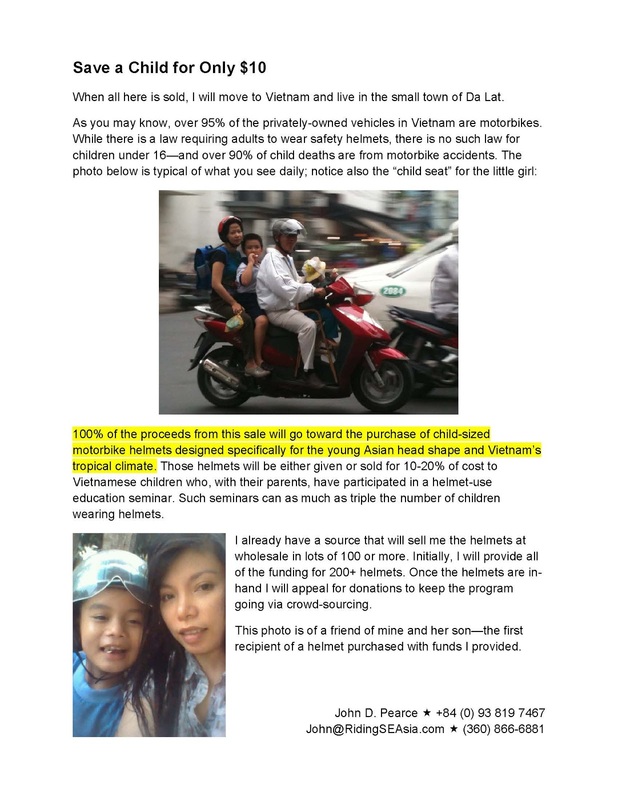 As I prepared for the Labor Day weekend Estate Sale, I decided to put all of the proceeds toward the non-profit I plan to start when I arrive in Da Lat. People liked the idea and a few gave me additional donations toward the helmets. 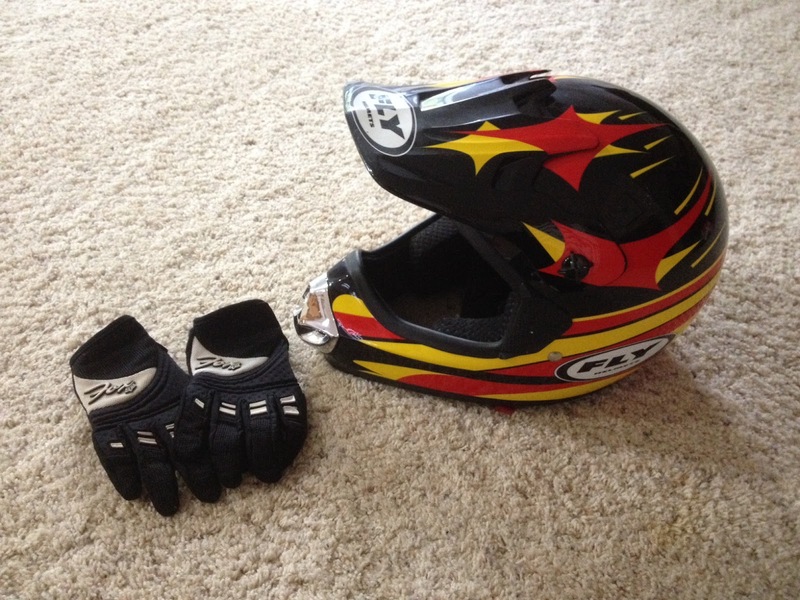 A great guy named John (no relation) even brought by his daughter's old motocross helmet and gloves to donate, so they'll be in my bag when I arrive. Then he bought the treadmill! Thanks, John. In total, the three days' receipts (I stayed open until 2:30 on Labor Day) totaled $7530!!! WOW! That's a LOT of helmets! This total does not include promised "be backs", so there's a chance the total will reach $8000. Thank you to everyone who stopped by and especially to my "Frequent Buyers", a couple of whom came back three more times. This is a wonderful start and will make the people of Da Lat very happy—and MUCH safer! Thanks also to Liz and Kathy for helping out and to Audrey for offering; I couldn't have done it without you! The things that were not purchased will be boxed up donated to Feline Friends for their Garage Sale this coming May, so if you have second thoughts about something on which you passed, you'll find it there. At some point, I'll put together a crowd-funding campaign and when I do, I'll post it here, too.